Mayor Michael Bloomberg suggested the U.S. could learn from Singapore's harsh drug laws. BROOKLYN — Fresh off a trip to East Asia, Mayor Michael Bloomberg suggested Monday that American lawmakers might have a thing or two to learn from nations like Singapore, where drug dealers can be executed for their crimes. Bloomberg, who just returned from a trip to Singapore and Vietnam, suggested that rather than legalization of marijuana, another approach might be better in the war on drugs: tougher enforcement. "In lots of places in the Far East, they have signs up, 'Death to drug dealers,'" he said, at an unrelated press conference. "Think about the number of people who die from drug use here in this country. And yet we don’t take it seriously enough to dissuade people." In Singapore, he said, “Executing a handful of people saves thousands and thousands of lives." 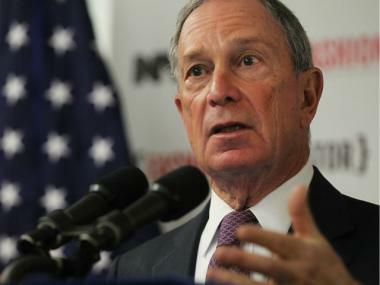 Bloomberg stopped short of advocating a similar policy in the U.S., saying the tactics "don't fit our definition of democracy," but the mayor said that American lawmakers might have something to learn from about protecting citizens' well-being. "I’m not suggesting we go kill ‘em. But when you talk to people overseas, they can’t understand why we allow people to deal in drugs [that] are killing people," he said. "The focus that they do have on protecting their people is something that we should think long and hard about." Asked whether he thought it was time to legalize pot, Bloomberg, who has alluded to dabbling during his college days, said that, despite some compelling arguments in favor, he still believes the drug should be banned. “It’s intriguing, but I don’t quite think I’ve ever quite gotten there, to support the legalization of drugs,” he told reporters.